INGEAR offers multiple PLC driver software solutions for Allen-Bradley development, offering efficiency and cost-savings for programmers and development teams of all sizes. Allen-Bradley Software for PLC, SLC, MicroLogix, ControlLogix and CompactLogix programmable logic and automation controllers for .net development. Click below to learn more about each driver. Visual Studio .NET managed code class library for Allen-Bradley ControlLogix / CompactLogix and Micro 800 series programmable automation controllers. Direct communication to PLC without OPC. Supports self-optimizing tag reading & writing, unsolicited messages and user-defined data types. Stand-alone, does not require RSLinx or other drivers. Visual Studio .NET managed code class library for Allen-Bradley MicroLogix / SLC500 and PLC-5 programmable automation controllers. Direct communication to PLC without OPC. Supports self-optimizing tag reading & writing, unsolicited messages and user-defined data types. Stand-alone, does not require RSLinx or other drivers. Visual Basic 6.0 Active X / OCX control for Allen-Bradley controllers. 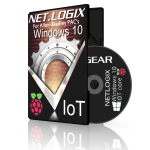 Supports ControlLogix / CompactLogix / MicroLogix / SLC / PLC. Includes Ethernet / DH+ / DH-485 / Serial DF1 drivers. Does not require RSLinx or third party software. OPC Data Access servers for Alllen-Bradley controllers. 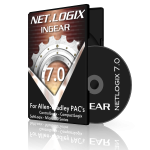 Supports ControlLogix / CompactLogix / MicroLogix / SLC / PLC. Includes Ethernet / DH+ / DH-485 / Serial DF1 drivers. Does not require RSLinx or third party software.